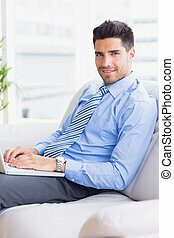 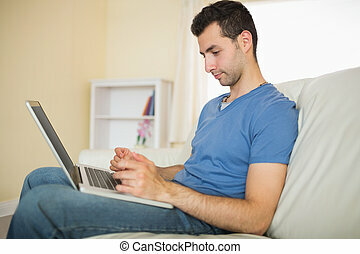 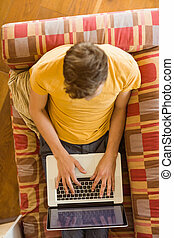 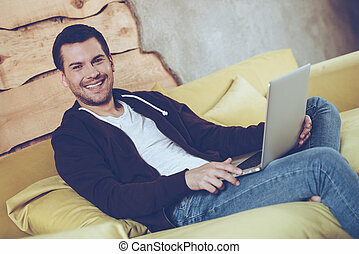 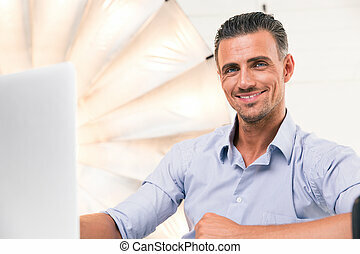 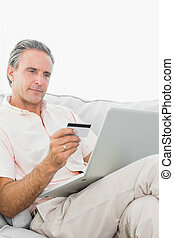 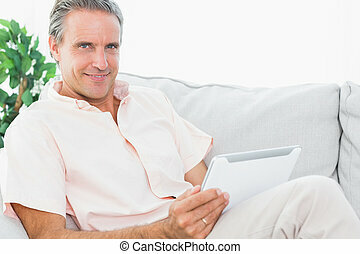 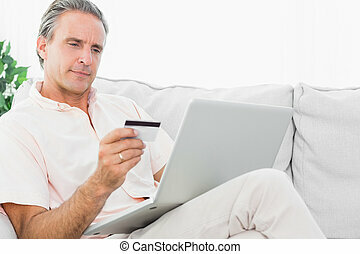 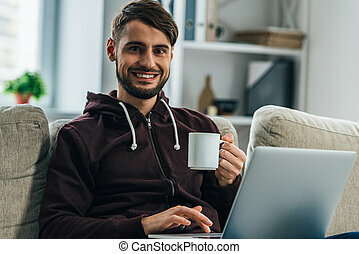 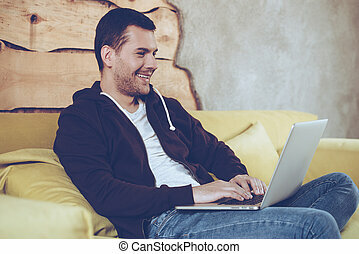 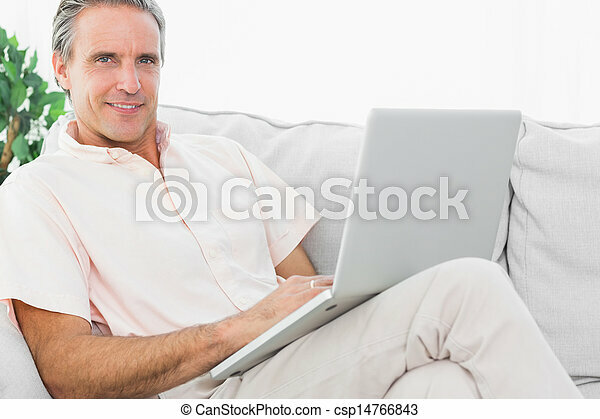 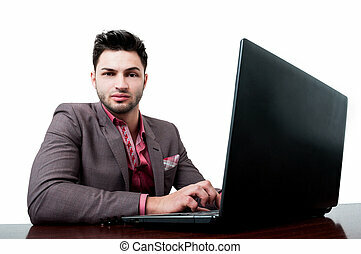 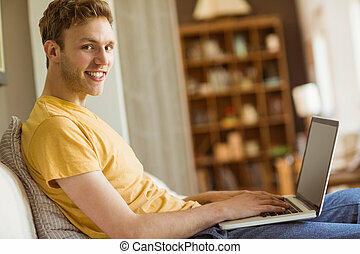 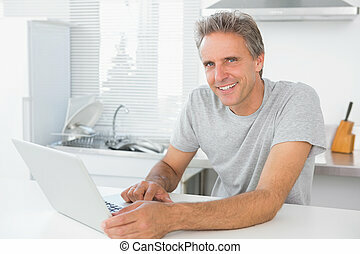 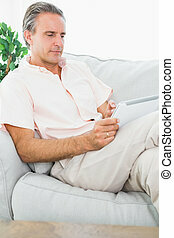 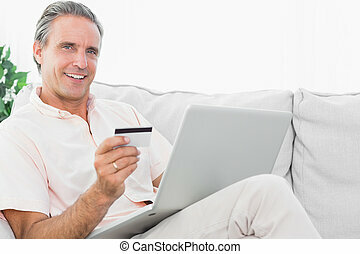 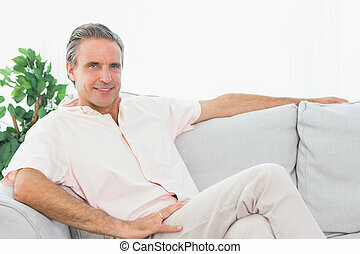 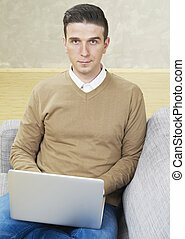 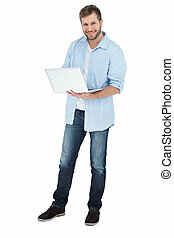 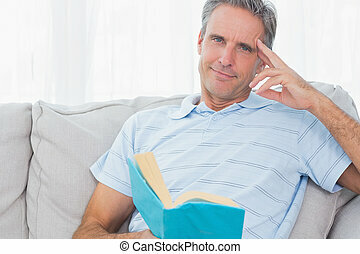 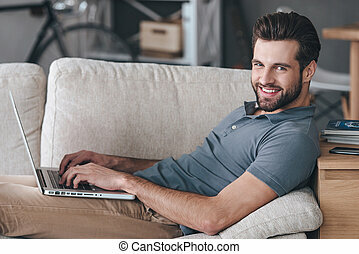 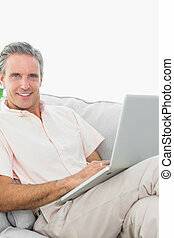 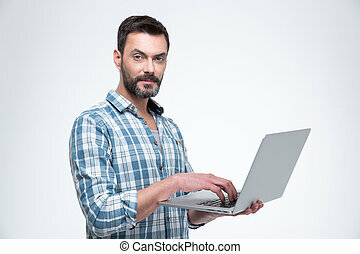 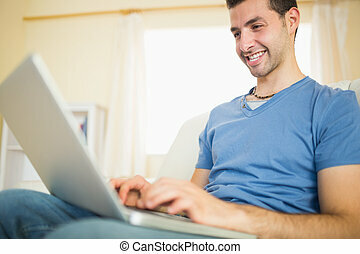 Cheerful man on his couch using laptop looking at camera at home in living room. 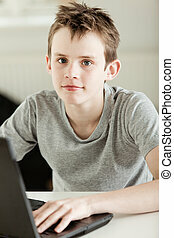 Handsome Young Boy Looking at the Camera While Working on his Laptop at the Table. 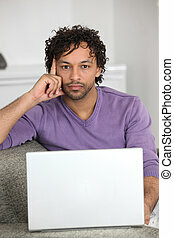 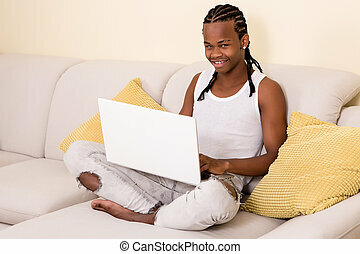 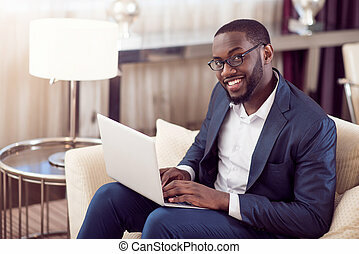 Young African-American man looking at camera while sitting and using laptop on sofa.